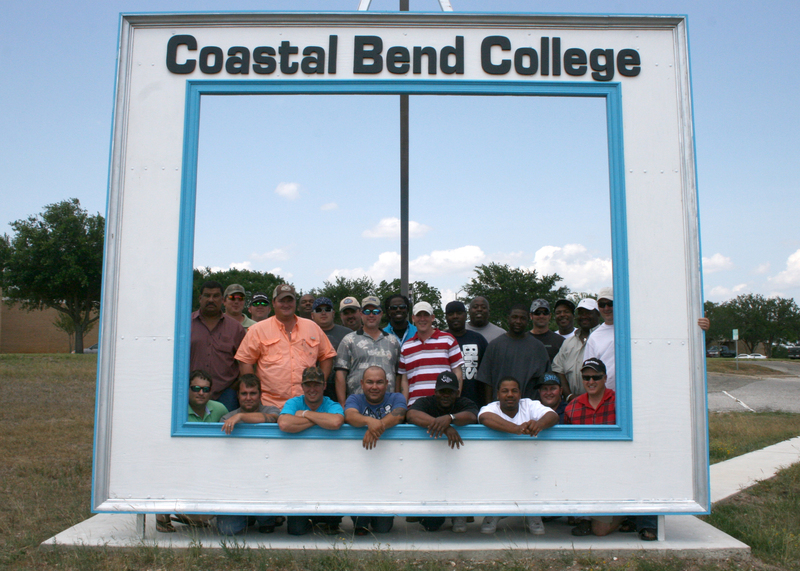 Pioneer Natural Resources recently partnered with Coastal Bend College Customized and Continuing Education Petroleum Industry Training to provide safety training for oil and gas employees. Those in the sixth of several workshops are Jon Nichols, Travis Harris, Rusty Chambers, Julio Montes, James Epkin, Marcus Robertson, Scott Pustka, Greg Parkhurst, Brad Talcott, Eric Durst, Eddie Conerway, Douglas Farley, Robert Garza, Rus Jurgajtis, James Prescott, Josh Mika, Michael Shockey, Dustin Wrinkle, Erick Conerway, Anthony Dozier, James Talley, Mark Nash, Terrence Johnson, Jermayne Williams and Justin Johnson. Pioneer Natural Resourses is an independent exploration and production company with operations about the world including, locally, in Cuero, Pawnee and Victoria.